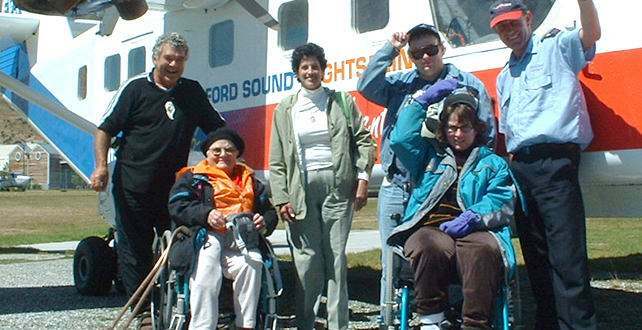 Airlines could do a much better job of providing information about the best strategies for flying when you need special accommodations – even for something as common as a wheelchair. It is unlikely that every person at an airline will know which airplane models provide the best access and easiest transitions. While someone in a wheelchair can board commercial flights, some planes are just better suited and make boarding, moving about, and evacuating easier. Highest priority should be given to where someone in a wheelchair should be seated so they can most easily be evacuated during an emergency. While major emergencies are uncommon, having to unboard quickly happens more than most realize. and where on airplanes they should be seated. In the recent uproar over how Delta Airlines treated Marine Lance Cpl. Christian Brown, it was reported “putting Brown all the way in the back violated emergency evacuation procedures”. If that is true, airline personnel obviously need more training. While Delta has apologized – and rightfully so because two First Class passengers offered their seats and were rebuffed – they have not clarified exactly what their “service standards” regarding passengers in wheelchairs actually are. 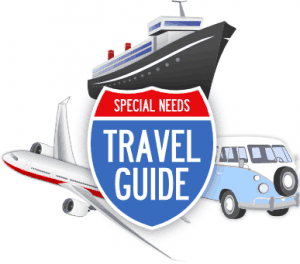 Delta does provide special needs assistance which you request by checking the special needs box when booking your flights. SpecialNeedsTravelMom described her experiences with Delta’s attendants when flying with her daughter. Most airlines transfer you from your own wheelchair onto a narrow, straight-back airline chair that fits down the isles. A few planes are wide enough to let you use your own wheelchair instead IF you can afford to fly first class OR the airline offers you a free upgrade. 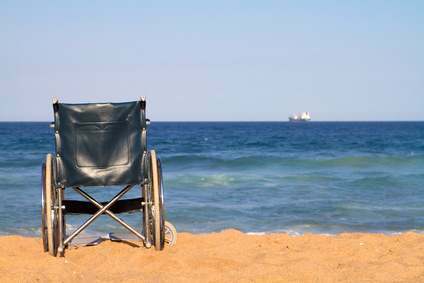 Image Credit: EasyAccessTravel ~ Click image for what they learned traveling worldwide in a wheelchair. You need to know what kind of battery any motorized device you are taking with you uses because that will determine how your wheelchair, scooter, hoveround or other device is transported on the plane. Although Delta is getting bad press for how they treat wheelchair passengers on some flights, they have also gotten compliments for providing free upgrades to First Class for wheelchair bound travelers on Delta flights. My 84 year-old grandmother flies BUF–ATL to see my parents quite often. Me being the aviation enthusiast, it’s always been my job to get tickets for her. I always tried to book her on the 727 that Delta flew on that route until April. In any case she had a stroke recently and gets confused easily, so this time I booked her on an MD-80 both ways with wheelchair service. She was so excited when I picked her up at ATL…she got to sit on the front row in first class! She had never flown first class in her whole life. She was impressed with the food and wine they served her. I thought perhaps it was a fluke, but she made a point of calling me when she got home to report that she sat in the same seat on the way back! Does Delta specifically reserve the front seat for handicapped/wheelchair passengers, or is this just something nice the crew did for my grandma? I suppose it was easier than for them to walk her back to her seat in coach. I imagine if first class was full she would have had to sit in her assigned seat. Is this common practice among airlines? In any case I sent a email to Delta thanking them for doing this for my grandma. It goes without saying that I will always book her with Delta with that kind of service. One airline employee said she tried to upgrade to First Class when she could, but what the official Delta – or any other – policies are will vary. Apparelyzed: Airlines Disability Policies ~ useful page that contains links to policies on many airlines and notes about those policies. Special Needs at Sea arranges travel for CLIA, the world’s largest cruise line association. by listing your business in DIRJournal’s Business Directory. Would what you do make interesting content and benefit others? Contact Gail about being featured.